DanceLife has been following the pursuits of Aussie B-Boy Blond in the Red Bull BC One Competition, which culminates in Rome in November for the world’s best break dancers. Fusion MC crew and South Korea’s own B-Boy Leon took the crown at the Red Bull B C One Asia Pacific Final 2015, edging out Australia’s B-Boy Blond, who took the crown at the Red Bull BC One Australian Cypher earlier this year. 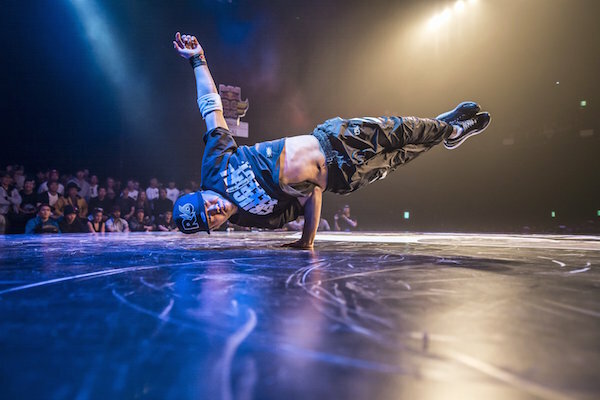 Leon gave his best performance to battle among Asia Pacific’s hottest breakers at Seoul’s AX Hall on Saturday and grabbed the winning ticket to Rome in a unanimous vote against finalist Japanese B-Boy Issei (Found Nation Crew). Throughout the night, he dazzled the judges and crown alike with an incredibly unique style that combined originality, attitude and playfulness. Leon showed he was a master of B-Boying and proved that he has what it takes to make his name among the best of the best. B-Boy Leon will now represent his crew and country at the Red Bull BC One Italy World Final 2015, to be held in Rome on November 14. The World Final will be livestreamed at both redbullbcone.com and redbull.tv. Previous Post Fiddler On The Roof | Win Tickets!